St. Frances’ Adrian Baldwin goes up for a layup during Monday evening’s MIAA A basketball match with Boys’ Latin School. Baldwin had 11 points and 10 assists, reaching the 500-assist career mark, as the fourth-ranked Panthers topped the No. 1 Lakers in East Baltimore. About this time a year ago, St. Frances Academy boys basketball, dominant through the opening two months of MIAA A Conference play, began a late season swoon. The fall was capped with a home loss in the semifinal round. The Panthers are determined not to have a repeat. No. 4 St. Frances defeated top-ranked Boys’ Latin School in a MIAA A match at Phelps Gym in East Baltimore. Junior guard Jordan Toles scored a game-high 29 points for St. Frances (25-4 overall), and Adrian Baldwin added a double-double of 11 points and 10 assists. Cameron Spencer led Boys’ Latin (24-4) with 23 points. Behind a spirited effort, led by Toles’ career-best night, the Panthers avenged a 68-65 loss to the Lakers in last year’s league semifinal. St. Frances went a pedestrian 5-3 (including playoff game) in the final month of MIAA A play after starting 14-0. St. Frances rebounded to win its record 8th Baltimore Catholic League Tournament championship and reclaimed the No. 1 ranking in VSN’s Top 20. But its failure in the MIAA A was the only blemished in a huge turnaround campaign (finished 36-7 after winning 16 games in 2016-17). The Panthers were engaged from the opening tip Monday. After a barrage of 3-pointers between the teams early, St. Frances wore down BL with its frontline depth and defended better on the perimeter. The Lakers had three 3-pointers in the second half after raining in five 3-pointers in the opening quarter. Toles, one of the area’s most dynamic two-sport athletes, was locked in Monday. The 6-foot-3 guard went 8-of-11 from behind the arc, including four in the opening quarter (14 points). “It was just a confidence thing for me. I saw them sitting back in the zone daring me to shoot, so I just showed them that I can do both — I can drive the lane and also shoot the ball,” said Toles, who holds football scholarship offers from the likes of Alabama, Maryland, Michigan and Penn State, and one from LSU for basketball. Toles’ fourth dagger in the opening quarter gave St. Frances the lead it never relinquished. The Panthers opened up a 39-30 advantage late in the first half, but Spencer, a Loyola University recruit, scored the next eight for BL, closing the gap to 41-38 at the start of the second half. The Panthers answered with 3-pointers from Baldwin and Toles, then their inside game, featuring 6-8 senior Jason Murphy, helped push the lead into double digits. Toles’ final 3-pointer in the closing seconds of the third left St. Frances with a 66-53 advantage going into the fourth. It wasn’t as much for Lakers coach Cliff Rees, whose team’s perfect run in MIAA A play and nine-game win streak was wiped out Monday. The Lake Avenue school trailed by as many as 21 points in the second half. The Lakers, who reached their first MIAA A final last winter, have a firm grasp on first-place in the MIAA A Red (10-1). St. Frances (11-1) leads Mount St. Joseph (12-2) by percentage points for first in the MIAA A Black. 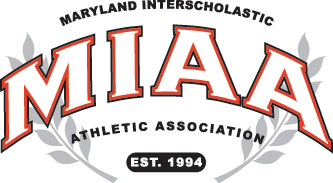 The top four teams in each division advances to the MIAA A playoffs in a couple of weeks. Jordan Toles had a career-best 29 points, including eight 3-pointers Monday evening for St. Frances. He had 23 points in the opening half.The Lakers, who reached their first MIAA A final last winter, have a firm grasp on first-place in the MIAA A Red (10-1). St. Frances (11-1) leads Mount St. Joseph (12-2) by percentage points for first in the MIAA A Black.The top four teams in each division advances to the MIAA A playoffs in a couple of weeks. Boys’ Latin – Spencer 23, Grace 12, Walker 9, Nichols 8, Schell 6, Akuffo 2, Archer 3. Totals: 22 10-12 63. St. Frances – Jones 9, Baldwin 9, Murphy 10, West 10, Toles 29, Montague 2, Alexander 2, Busby 9. Totals: 32 3-6 80.